So many amazing people have been involved who help bring Joko to life and share in the spirit of adventure, curiosity, and fun. 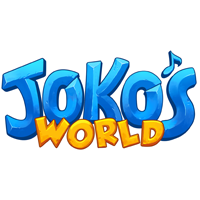 JOKO'S WORLD - A PRODUCT OF CULTURAL INFUSION | © 2017 CULTURAL INFUSION OR ITS AFFILIATED COMPANIES. ALL RIGHTS RESERVED.